Ready For My Vyah Lyrics – Raftaar & Deep Kalsi: This is a Punjabi shaadi anthem sung by Raftaar, Deep Kalsi & Akriti Kakkar. Its music and lyrics are given by Deep Kalsi while rap is written by Raftaar. 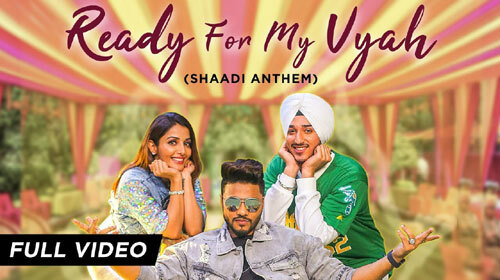 If you find any mistake in lyrics of READY FOR MY VYAH LYRICS – Raftaar | Deep Kalsi song please let us know in comments.